The doors open at 8.50am and the registers are taken at 9.00am when the classroom doors are closed. Should you arrive late (after 9.00am) please sign your child in via the school office. The school day finishes at 3.00pm. 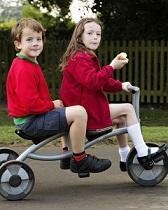 For the future wellbeing of the children we do promote a healthy lifestyle within school. Along with a balanced diet children are encouraged to take part in regular physical exercise. From September 2014, we were able to offer free school meals to all pupils in Reception Year, Year 1 and Year 2 inline with the Government initiative. Pupils have the daily option of having a hot meal which is free to all children from funding from Central Government; or they may bring a packed lunch from home. Children in Year R, 1 and 2 are given a piece of fruit or vegetable for break time provided by funding from Central Government by the School Fruit and Vegetable scheme. Children in all year groups are also able to have free milk or a milk alternative in line with the new Food Standards 2015. We do encourage children to eat healthily and therefore discourage chocolate bars, sweets, crisps etc. in lunch boxes. No sweets or fizzy drinks are allowed. Free School Meal - are you entitled to this? Children that receive a Free School Meal are also given additional funding to support them in school. This enables us to offer a wide range of support. This is called Pupil Premium. From September 2014 the school was given £1,300 per child that fit this criterion. This makes a significant difference to their education. Therefore we have sent home the application to all families to see if you could be eligible. Your child does not have to have the hot meal for the school to receive the funding. We do request that all children wear the correct school uniform to school every day. The sweatshirt is red with the school logo. This may be worn with a grey or black skirt or trousers and the green polo shirt. The sweatshirt, polo shirt, PE bags, book bags, caps and red fleeces are available to purchase direct from the supplier using the following internet link below. This facility will enable you to purchase uniform supplies at your convenience for delivery direct to your home. You can also have school uniform orders delivered to the school free of charge during term time. Please also see the additional information under uniform. The school office hold a very limited amount of new uniform, which we limit to two items per family. Please be aware the office can only accept cash or cheque as payment. Summer uniform for girls is a red checked summer dress and for boys, grey or black shorts. We do occasionally have some good quality second-hand items for sale if parents are interested in saving money. Jewellery is best worn at home and earrings may not be worn for P.E. Children may only wear stud earrings if they can remove and put them back in independently, otherwise they may not be able to take part in such activities. The children are encouraged to change for P.E. with minimum help, so velcro or buckle fastened shoes are best. Boots or shoes with long laces are very difficult for young children.